We all know that most electric cars don’t go very far on a charge, need too much socket time to get going again and usually cost too much to buy. So what better way to develop the somewhat impractical innards of electric cars than to subject them to the hothouse of highly competitive motorsport? There’s nothing like harnessing the urge to get ahead to spur development, especially when money and milliseconds are involved. 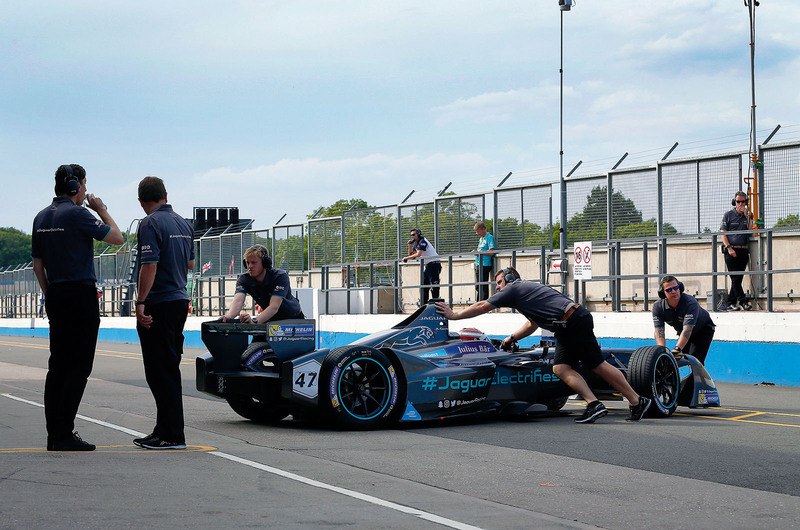 That’s part of the lure for Jaguar Racing, which is about to compete on track with electricity rather than internal combustion. It will field two cars in the 2016-2017 Formula E championship that starts next month, the third season of an innovative race series staged on pop-up circuits in some of the world’s most glamorous cities. Jaguar’s drivers will be Adam Carroll and Mitch Evans. Barclay is unable to elaborate on Jaguar’s “electric future” but adds that “the timing couldn’t be better for us”. As Autocar revealed last month, the company is planning an all-electric SUV, likely to be called the E-Pace, that may be revealed later this year prior to going on sale in 2018. 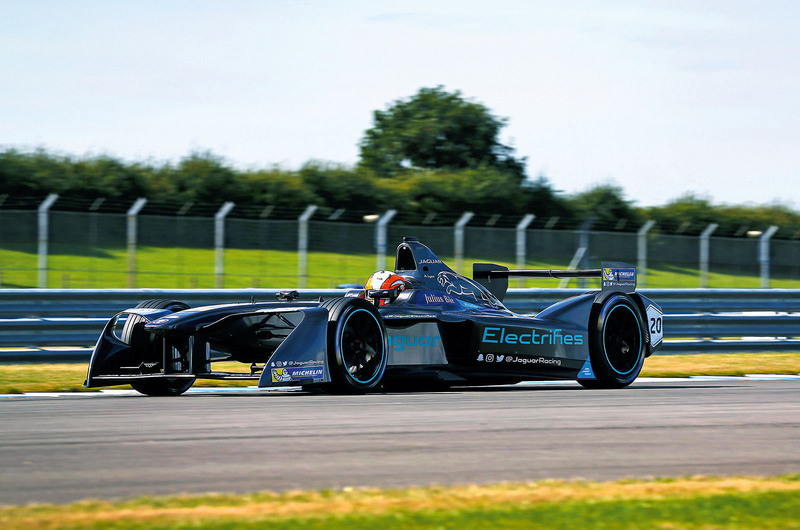 But entering Formula E is about more than promoting roadgoing battery-powered Jaguars. “Motorsport is central to the Jaguar brand,” says Barclay, noting that it’s 12 years since the company competed in Formula 1. “This is a message that this is part of our DNA. We have the most successful British sportscar programme, although we don’t shout about it. People new to the brand don’t see Jaguar in motorsport. Persuading major cities to stage motor racing on their streets is no small challenge, but Barclay says they are keen to have them as they move towards electrification. “That’s helped the championship to develop quite rapidly,” he adds. 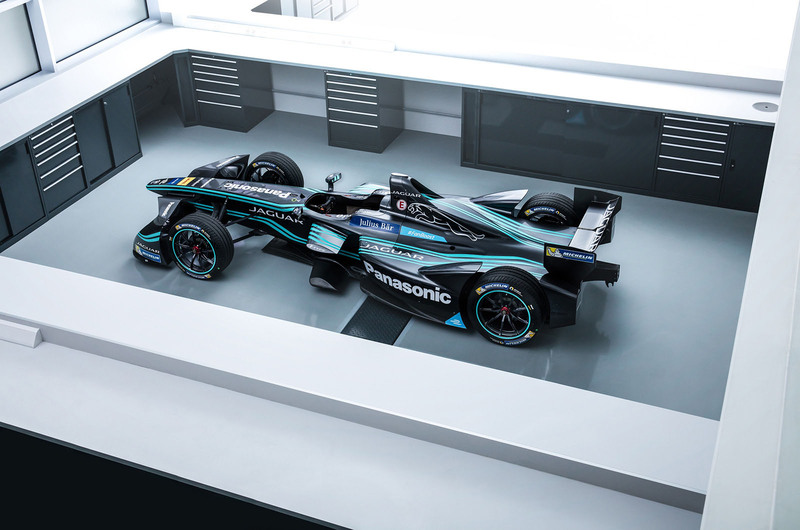 Jaguar is developing its cars in league with Williams Advanced Engineering, the technology arm of the group that already has extensive electrification expertise developed by the Williams F1 team. More than that, all of the cars on the Formula E grid use a Williamsengineered battery pack, which will be used until season five. Besides this development, Jaguar has some catching up to do. Its rivals have already completed two seasons, so the shakedown tests we’re seeing at Donington Park are even more vital, despite the track’s lack of resemblance to any street circuit. In the pit garage, the two elegantly liveried Jaguars look much like conventional, 21st century singleseat racers, if a little unsophisticated in the aero department. The cars are surrounded by the paraphernalia of a modern, professional race team: dryice blowers lightly roar into the car’s air intakes and assorted uniformed personnel dart about while multiple umbilical cords supply energy to the car and download data to rows of laptops at the back of the pit. Although Formula E has been around for a couple of years, it’s still a surprise to see a single-seat racer that makes so little noise. When it departs, you hear little more than an urgent whine. From a distance, your ear could confuse it with a mobility scooter – but not when you see the car on the track. The whine turns more urgent, the cars look quick and on today’s drizzle-sheened track you can see that keeping the wheels in line demands concentration. So does the driver’s management of the race. “The driver has a huge amount to do,” says Barclay. Battery conservation plays a large part, with the driver needing to trade coasting, regenerative braking and accelerating with staying in the race and getting to the end, and all with a car swap in between. “You can end up needing 3% to finish but only have 4% left, so you have to back off and defend,” says Barclay. That all adds excitement, although it highlights what undeniably remains one of the flaws of electric cars and, more positively, the reason to fast-track their development. “We have real expertise in electrification already,” says Barclay. “We will have engineers embedded in the team who are part of the R&D department. The race team has direct links, so each can benefit from their key learnings. It doesn’t always happen, but we feel it can and there will be a free flow of information. Powertrain development is not entirely unfettered, however, because it must fit within the car’s crash-tested carbonfibre structure. Despite this limitation, Barclay reckons we’ll see more development in the next two years than in the past two decades. Admittedly, Hong Kong and Buenos Aires are a bit distant for weekend city breaks, but Berlin, Marrakech, Paris, Brussels and Monaco are all doable from the UK. Will give Formula E a try this time. Quite a few manufacturers signing up for the series. Hopefully will not be as boring as f1! Is it me or is Formula E really boring? And the Story just Bull? I am confused about Formula E. I have watched it on TV since it's inception but fail to see the attraction. OK, they race in some interesting places, however, the clutter of safety barriers, fences, etc. Make them unidentifiable. The vehicles all appear to be the same, the power supply and motors are standard, the chassis are the same. Brakes and tyres are the same. The difference is set up, drivers and team management. Oh and some drivers get an artificial advantage by popular vote, as a means to engage a young audience. It might even be an insult to call it racing! So apart from TV exposure, I am not sure what a car manufacturer is going to get out participation. You can't have been watching very hard or you would have noticed that powertrain development was opened up after season 1. This led to cars racing with single or dual motors and 1,2,3 and 5 speed gearboxes. I am confused about Formula E. I have watched it on TV since it's inception but fail to see the attraction......the clutter of safety barriers, fences, etc. Make them unidentifiable......The vehicles all appear to be the same, the power supply and motors are standard........So apart from TV exposure, I am not sure what a car manufacturer is going to get out participation. .......Or am I missing something here? You are missing a lot actually! Different cars have different liveries, sponsors, colours....thats how you tell them apart, unless and until you have poor eyesight and colour blindness. From this season onwards all teams develop/source their own power trains and energy recovery systems. Precisely why the manufacturers are showing a lot more interest. From next ear it's their own batteries as well. The biggest plus is that they do not waste millions on aero which is worthless when watching competitive racing.